Stuttgart were reportedly interested, and Fortuna Düsseldorf are close to signing him. Sampdoria’s forward Dawid Kownacki is in high demand among Bundesliga clubs looking to avoid relegation. The club with the best chances of landing the 21-year-old Polish striker? Fortuna Düsseldorf! According to reports from Germany, the club have targeted the 186cm tall forward as one of three players that new sporting director Lutz Pfannenstiel wants to sign this winter. News from Italy suggests that Fortuna Düsseldorf are willing to loan the player until the end of the season and, should they stay in the Bundesliga, would sign him on a permanent deal next summer. Sampdoria, in turn, is demanding €200,000 for the loan deal and €8 million to make the transfer permanent. Experience the top European leagues live! Book your European football travel now by visiting Nickes! Should Fortuna sign the player to those conditions and stay in the league, Dawid Kownacki would become the most expensive transfer in Düsseldorf’s history. But what makes the striker such an exciting proposition for the Flingeraner? The Bundesliga history books are full of strikers from Poland that have made their name in Germany. The most prominent example, is, of course, Bayern’s Robert Lewandowski, who since joining Borussia Dortmund in 2010 has broken several Bundesliga records. Before him, players like Włodzimierz Smolarek, Euzebiusz Smolarek and Marek Leśniak were just some prominent Polish strikers that played in the league. Others like Arkadiusz Milik struggled in Germany. The 24-year-old, however, has since become a prolific forward in Italy where he plays for Napoli. Dawid Kownacki would, therefore, continue a long lasting tradition of Polish Bundesliga strikers. Like Lewandowski before him, Dawid Kownacki emerged from the Polish club Lech Poznan. But unlike the 30-year-old Bayern forward, who was rejected by Legia Warsaw and only after playing lower division football for Znicz Pruszków found his way to Lech, Dawid Kownacki is a Lech Poznan product. The forward joined Lech in 2008 from GKP Gorzów Wielkopolski and after scoring four goals in seven games for Poznan II in 2013/14 was promoted to the first team the same season and the then 16-year-old managed two goals in 13 Ekstraklasa games. That season was followed with four goals in 30 games in 2014/15, six goals in 24 games in 2015/16 and nine goals in 27 games in 2016/17. Good enough to convince Sampdoria to pay €4 million for the striker in the summer of 2016. 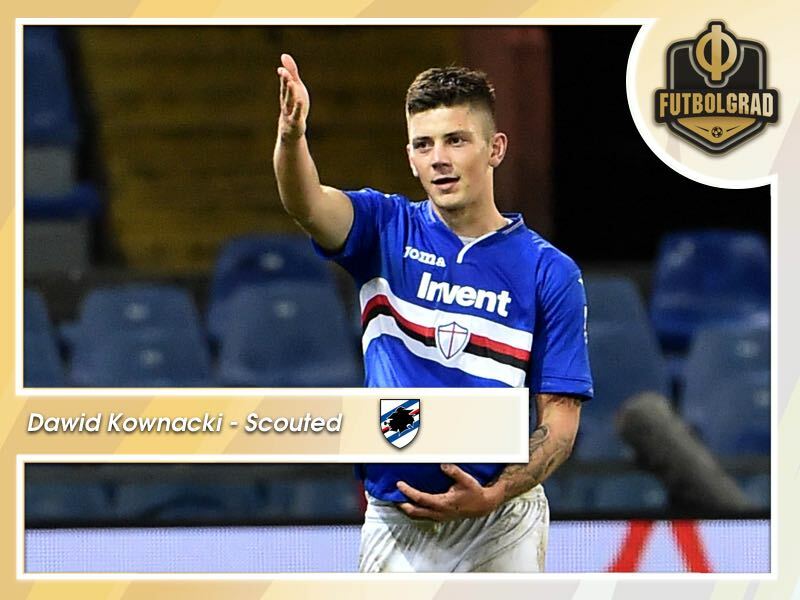 In some ways, Dawid Kownacki had benefited from the trail set by the likes of Lewandowski and Milik, who moved from Ajax to Napoli the same summer for €32 million. Polish strikers, in particular, have experienced a bit of a renaissance in recent years with Lukasz Teodorczyk providing another attacking option for Poland’s national team – the striker joined Udinese from RSC Anderlecht this summer. Speculations surrounding Kownacki’s potential transfer to Düsseldorf have raised some questions among Fortuna fans. At €8 million plus they feel that the club may be overspending on a position that is currently well occupied with the likes of Rouwen Hennings, Marvin Ducksch and Dodi Lukebakio already in the squad. Lukebakio, in particular, has been excellent this season scoring seven goals in 15 games, including four goals against Bayern München and Borussia Dortmund. But Hennings and Ducksch have struggled in the Bundesliga this season, and Lukebakio is unlikely to stay at Fortuna given that he is on loan from Watford, who in turn have not been blind towards the forward’s progress in the Bundesliga. In fact, Dawid Kownacki would add some much-needed depth in the attacking chart. Capable of playing as a number nine but also on either wing in a three-man attack Dawid Kownacki could play on the right or left in head coach Friedhelm Funkel’s 4-2-2-2 formation but also just in front of Lukebakio should he opt with a more defensive formation that just sees one natural striker. Perhaps the biggest knock on Dawid Kownacki is his goalscoring stats this season. The 21-year-old has struggled to find the net and scored just once in 12 games this season. But a closer look reveals that he needed just 150 minutes to score that one goal, as he was mostly deployed off the bench by Sampdoria. 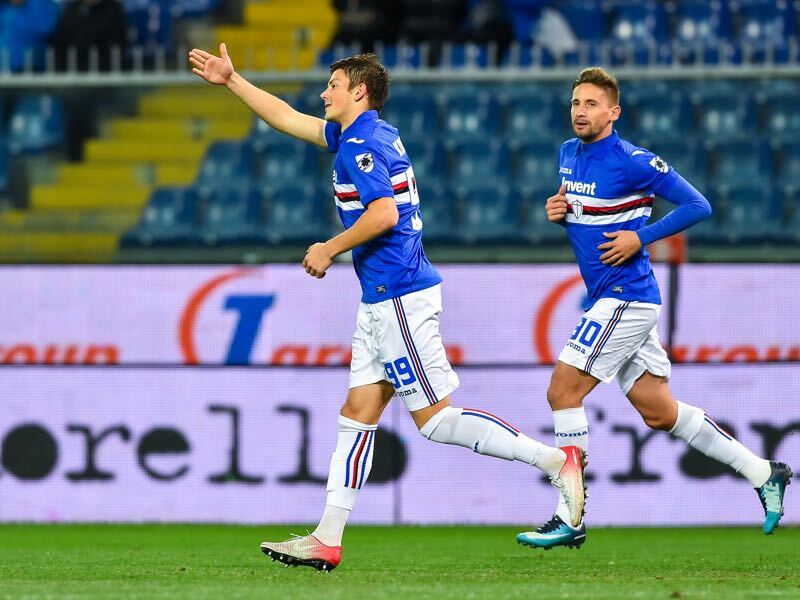 In fact, his ten goals and four assists in 39 games for Sampdoria overall suggests that Dawid Kownacki knows how to find the net. At a closer look, Dawid Kownacki has managed 0.61 goals per 90 minutes since joining Sampdoria – all numbers as of January. An excellent dribbler, the striker, is also won 77.3% of his on average 4.01 dribble attempts. A compact forward, who at first glance looks a bit like Eintracht Frankfurt’s Luka Jović Dawid Kownacki likes to drift in from the wing and beat goalkeepers from a close-range. A classic striker in some ways the penalty box is his home and Fortuna, or any other club that lucks out in signing him, will get a raw gem that with a bit of work could be turned into a goalscoring diamond.